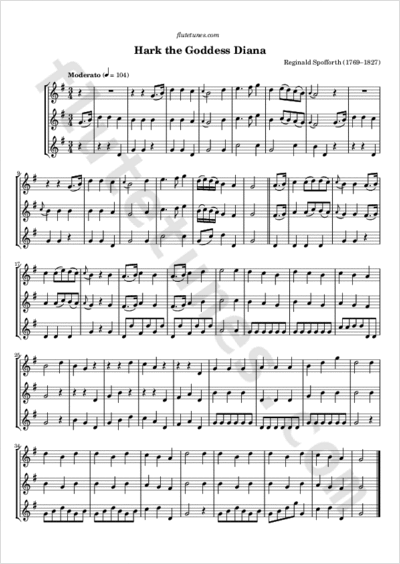 This tune was originally composed as a vocal duet by English organist and conductor Reginald Spofforth around 1817. The present arrangement for three flutes appeared in Blake's Young Flutist's Magazine, published in 1833. Diana was the Roman goddess of the hunt, moon, hills and wildlife.